Ask yourself this question: would you rather rely on a big chain lube shop or a Honda dealer near Scotchtown, NY when you need an oil change? If you care about your vehicle, you answered the latter. For personal attention and Honda certified technicians, head to Middletown Honda, less than two miles from the heart of Scotchtown. You can find our dealership at 520 Route 211 E, just south of Scotchtown and right by the GanderMountain. Instead of trying to predict the busy times and beat the crowds, why not schedule your oil change online? That way, when you get here, you are set to go immediately. Your wait time is kept to a minimum, and you know you car is receiving immediate attention. Our service center can also be reached by calling (855) 473-3051. 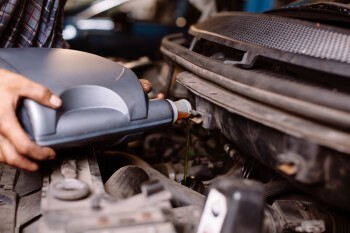 Getting an oil change is too important for your vehicle’s health not to take care of it regularly. That is why we are always offering regular service specials to customers at our service department. You shouldn’t have to pay extra to get basic vehicle maintenance. We may not always offer an oil change coupon, but you should find something else to help you save. Our mechanics believe in providing service with a smile. If you want to work with a great team that will put your needs first, check out our service department. We are always available to answer your questions, explain your invoice, and address any concerns you have about your vehicle. All vehicles need an oil change about every 5000 to 7000 miles. If it is getting to that point, or long past it, make your way to Middletown Honda near Scotchtown. Do what is best for your car: get your oil changed at Middletown Honda today, tomorrow, or whenever you are due.